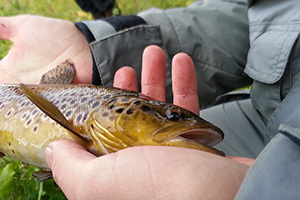 Angling in lakes and rivers is popular all over the world as both a commercial and a leisure activity. Despite its quiet relaxing nature, fishing sometimes involves hard physical activity, and you can injure yourself if you are not careful enough. Hence it is important to obtain an angler’s travel insurance to make sure you are covered should any problems occur. So let’s take a look at some of the most common fishing injuries and the ways you can prevent them. According to the statistics injuries from fishing equipment made up more than 30 percent among anglers and angler-related workers during the recent years. The most frequent minor traumas happen due to the inappropriate use of fishhooks. Anglers, who tend to go fishing in powerboats, often get injured from the contact with the boat propeller. Being near water can cause a slipping hazard no matter if you are on the dock, in the boat or your boots are just wet. In case of an unfortunate fall, you can be seriously injured. Keep in mind that a hard fall could lead to any of traumatic injuries like fractures, dislocations, and soft tissue injuries. It was also reported that all kinds of sprains and strains made up one-third of the injuries among anglers and other fishing-related workers. If an angler is not in shape or is overweight then sprains and strains might occur. This type of injuries can also be the result of a bad fall. Repetitive motion in the arm (casting and reeling the fish) may lead to the overuse injuries like tennis elbow, rotator cuff tendinitis etc. Professional or regular anglers are more likely to be injured this way as they fish on a permanent basis. Stay fit and do stretching exercises before going fishing – If you do not stretch beforehand it will cause the lack of physical fitness and flexibility and may lead to sprains and strains. Special exercises can help you strengthen your shoulder and forearm muscles to avoid overuse injuries. Wear appropriate clothes and shoes – Make sure your shoes are non-slip to avoid the possible slipping hazards. To protect your eyes from fishhook accidents wear goggles or sunglasses. Be careful with angling equipment and boat propellers. Fishhooks and any other angling equipment must be handled with extreme care. Never leave knives, fishhooks, or your tackle lying around, as you or your companion can step on them. Do not get too close to the boat propeller to avoid major injuries or falling outboard. Always take your cell phone with you. If you go angling alone, make sure you have your cell phone handy to contact your friends or family in case of emergency. Angling is a relatively calm and safe activity, however it is always better to be prepared for anything. Do not ignore safety precautions and enjoy your fishing weekend trouble-free.